Whether it’s something simple, or a work of art. We are here to realise the dream you have for the finishing of your project. The possibilities are endless. We can custom design flashings to your liking, or you can pick one from our popular range of flashings. From comercial rainwater management to rainwater harvesting, we have a solution. We can fold a wide range of standard or custom flashing products for your every need. Flashings are available in many different materials. 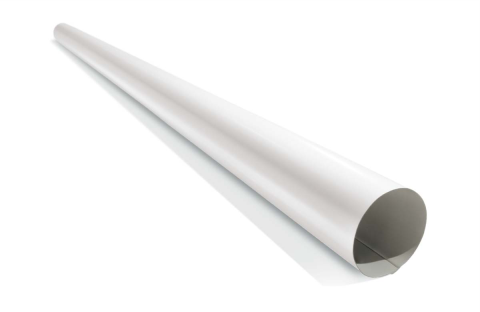 Choose from a wide range of flashings readily available for you. 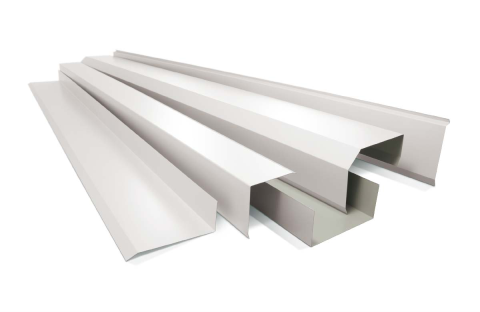 Complete your guttering project with our standard or custom made profiles. 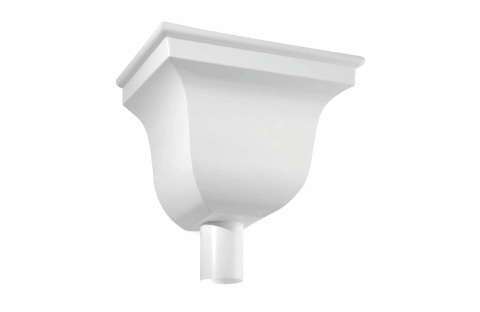 Downpipes are available in many different materials. Choose from a wide range of downpipes readily available for you. 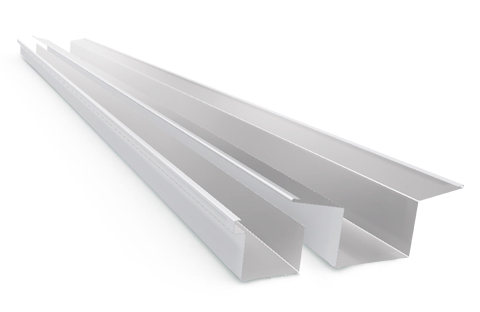 Choose from our range of gutters, or custom make a gutter to perfectly suit your project. 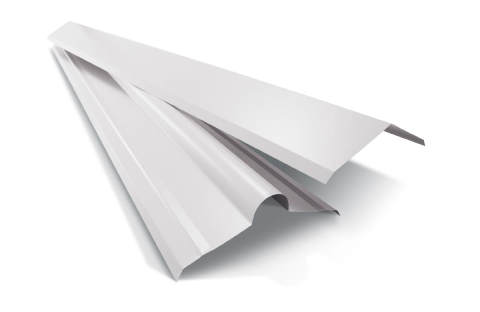 Gutters are available in many different materials. 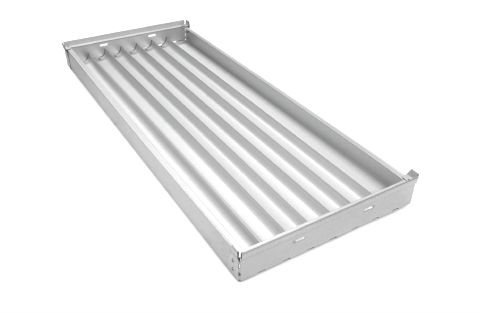 Choose from a wide range of gutters readily available for you. Attach your gutters to your Fascia, giving your project a neat finished look. Fascia are available in many different materials. 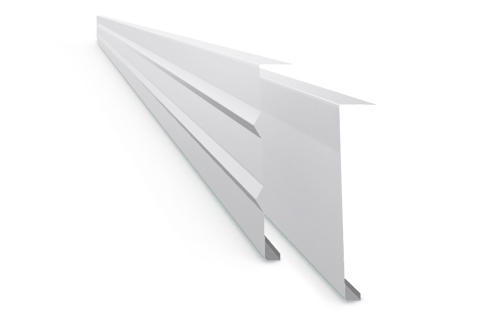 Choose from a wide range of fascia readily available for you. Ridge capping, Valley gutters, Barge capping, Louvres, and anything else you’ll need. Roofing accessories are available in many different materials. Choose from a wide range of roofing accessories readily available for you. Flashing Centre can fold and manufacture any custom rainhead or sump for your project requirement. Choose from a wide range of materials readily available for you. Don’t see it in our product list? We are ready to take on any project big or small. Feeling ambitious, and not sure if it can be made? Contact us and let us realise your dreams. 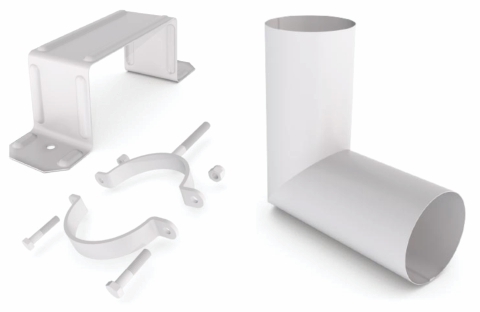 Downpipes, Shoes, Elbows, Brackets, clamps, or whatever you need for your project. We produce all the accessories for your project needs. Contact us today to kick-start your next flashing project!